Most people I know are wary about casting auditions. To get started, they need to remember that even the best actors in the entertainment business had to start somewhere. There was always that first audition that the reputed actors of today had to clear to make their talent known amongst a world wide audience. Many of these actors have auditioned for a part and at times, totally blown it. They have had their share of nervousness and anxiety and so that feeling of butterfly in your stomach is not yours alone. You need to keep in mind that to showcase your talent before casting agents and acting agents, you would need to start auditioning. The sooner you realise this fact, the better it would be for you. Thousands of casting auditions take place every year and participating in one is not a big deal. Even if you are not good in one particular audition, you can always improve in the next one you go to. There is no need to make auditions larger than life; you need to keep in mind that auditions are a process where you do some acting and if you are good at what you do, secure a role in a film or a television show. Most casting auditions last a few minutes and you would need to make the most of those few seconds you have. When you are facing the arch lights, you need to calm down, relish the moment, and give it your best shot. When you are auditioning, it helps if you are not thinking about the job it could get you. You can think of getting the role as just a by product of the entire process. Your aim while on any audition would be to let the casting director know more about what you can do on screen. When going for casting auditions, you need to realise that the casting people are not aware that this is your first time. You are the only person who knows that this is your first time in front of the camera, and can keep this knowledge to yourself. The entertainment industry is full of actors who got roles without any prior experience and you could be one of the lucky few. And last but definitely not the least, you need to keep in mind that the world would not end if you do not get the job. There would be other roles and opportunities which would come your way, and with experience on your side and a positive frame of mind, you can definitely clinch that role of a life time. 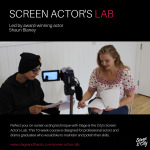 There are some reputed websites which have come up in recent years; these websites offer information on acting auditions and you can apply for castings directly. To know more about audition casting, casting agents, and acting agents, you can visit www.castingnow.co.uk.